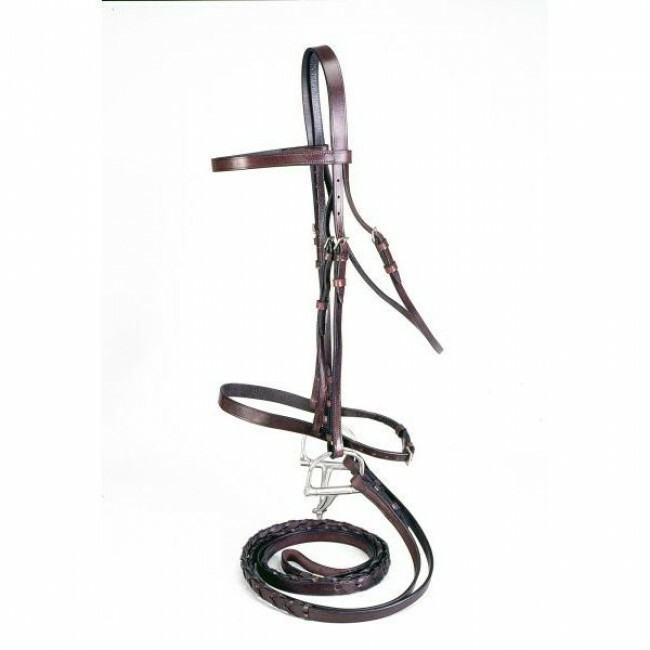 Finely styled plain snaffle bridle with caveson. Standard quality leather. 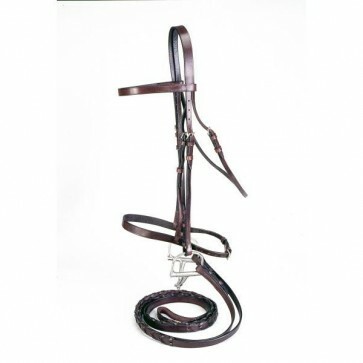 5/8" laced rein.